Eight years ago, Constellation’s team of developers completed the first version of a mobile scheduling application called OnLocation-Schedule, allowing homebuilders to access and control their company-wide schedules and tasks while on the job site. All of a sudden, builders could view and change the build schedule from their Blackberry, from anywhere. We applied for a patent on this mobile scheduling technology, and we have finally been awarded that patent! We would like to congratulate Sorin Lungu, who led the development team on this project. 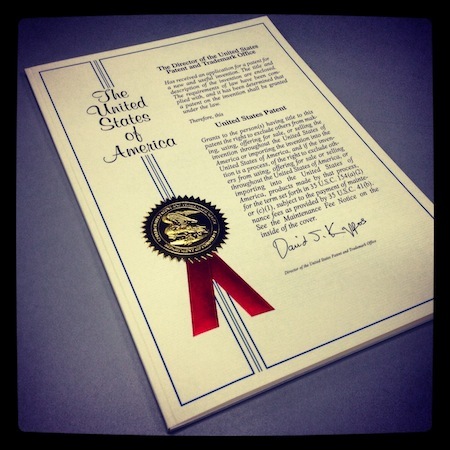 Sorin’s patent illustrates our dedication to builder efficiency, maximizing your effectiveness whether you sit at your desk or supervise worksites. Increasing productivity by scheduling on handheld devices has continued to evolve at Constellation, and we are very proud to be leading the homebuilding software industry. Location-based scheduling is just the beginning! Our development team works tirelessly every day to improve the way that you use technology from website to warranty. Constellation HomeBuilder Systems is the leading provider of software solutions for the residential construction industry in North America. We build software that helps you build homes. Markham, ON, February 7, 2011 – Constellation HomeBuilder Systems proudly announces that Constellation OnLocation-Warranty and BuildSoft Pro are winners of the 2011 Top Product Award from Constructech magazine. “Our products have consistently earned accolades for innovation and helping builders become more efficient. We work closely with our customers to develop new products and bring new technology to the home building industry that builders can trust to run their businesses. We take that responsibility seriously and continually achieve high levels of customer satisfaction”, says Dexter Salna, President of Constellation HomeBuilder Systems. Constellation offers the expertise, in-depth knowledge and experience to understand and meet the technology needs of home builders of all sizes. BuildSoft Pro is a completely integrated Windows® based application and is a leading residential construction solution for small to medium-sized homebuilders and remodelers to help manage and streamline all construction processes. Constellation recently upgraded BuildSoft Pro to support modern 32-bit and 64-bit computers, which demonstrates Constellation’s ongoing commitment to invest in new technology for home builders and remodelers. BuildSoft Pro is easy to learn and use allowing homebuilders to integrate production and accounting information and help manage everything from estimating to project management more efficiently. Constellation OnLocation-Warranty is the newest mobile device solution in the award-winning suite of OnLocation software applications for homebuilders. This warranty and customer service management system integrates seamlessly with NEWSTAR Enterprise and utilizes tablet technology for quality control, pre-delivery inspections and warranty walkthroughs. Whether you are in the office or in the field, Constellation OnLocation-Warranty improves customer satisfaction and keeps your home building business running smoothly, efficiently and profitably. Using a handheld tablet device, homebuilders can document deficiencies, create work orders, capture electronic customer signatures and have instant access to all homeowner data, contact information, and the status of work-orders, to provide warranty information you need for each home you build. As the largest home building software provider in the industry, Constellation HomeBuilder Systems has helped more than 2,400 builders manage their information technology costs with integrated software solutions to run their business from dirt to warranty. From planning to homeowner services, we have land development software, new home sales and marketing software, production, purchasing, scheduling, accounting, warranty, electronic homeowner manuals, vendor portal solutions, and web site solutions designed exclusively for the home building industry. Constellation’s product suite includes HomeDev, BuildSoft, Builder 360, Constellation Web Solutions, FAST, NEWSTAR, Sales1440, and BuildTopia. We had another great day at PCBC 2009 and some very savvy builders visited our booth. Some were looking for home building software, some were starting new businesses, and some were frustrated with their current software partners. An existing customer that has been using one of our systems for a long time was blown away with how much more they could be doing with our software. They could be using scheduling better, they could be following up with leads quicker, they could be providing all their warranty materials online, they could be tracking supplier quality better, and they could be using more of our built-in reports. As a software partner, I feel that we have let them down. They should know that we have been working hard to improve our products and provide them with tools to make them more effective and efficient. I encourage any builder with a slight interest in wanting to do more with technology to run their business to give us a call. I’m looking forward to Seth Godin‘s talk on Friday. Should be fun.